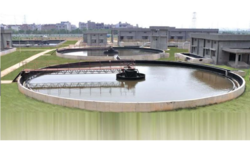 We are a leading Manufacturer of grey water treatment plants, zero liquid discharge plant, industrial water treatment plant, mobile water treatment plants, drinking water treatment plants and water treatment plants from Greater Noida, India. Grey Water Treatment Plant. Grey Water is wastewater, which is produced from domestic activities like, clothes laundry, bathing and washing dishes. By using the Grey Water Treatment Plant one can recycle this waste water for landscape irrigation and flushing purposes. Zero Liquid Discharge Plant describes a process that completely eliminates liquid discharge from a system. The goal of any well-designed ZLD system is to minimize the volume of wastewater that requires treatment, process wastewater in an economically feasible manner, while also producing a clean stream suitable for reuse elsewhere in the facility. Interest in Zero Liquid Discharge (ZLD) technology has grown in the industrial manufacturing sector over the past decade. 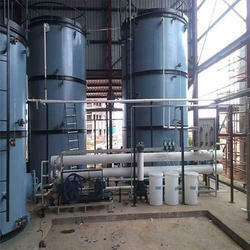 We are leading manufacturer of Industrial water treatment plants. Water treatment is any process that makes water more acceptable for a specific end-use. The end use may be drinking, industrial water supply, irrigation, river flow maintenance. The units are very suitable for emergency water treatment and water treatment during calamities, as temporary process-units, for water production during repair of a water treatment plant and for the extension or replacement of an existing water treatment system. Akar provides an innovative solution for generation of potable water. We help our client to meet the stringent drinking water standards for villages, residential complexes, industries, hospitals, institutions, etc. 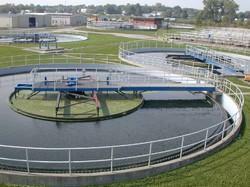 The drinking water treatment plants integrate different process such as filtration, odour removal, dis-infection, etc. In cases, where there are more serious contaminants such as high dissolved solids or other pollutants such as metals, fluoride, arsenic, etc., more specific treatment method is applied. 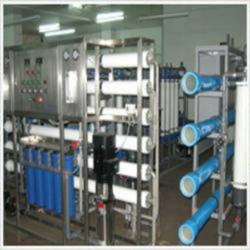 Different types of drinking water treatment plants are available for purification of potable water ranging from simple filters to reverse osmosis system. Akar offers a broad line of water treatment plants for industrial and residential applications. These packaged water treatment plants are based on different chemical processes such as coagulation and flocculation, precipitation, Reverse Osmosis and ion exchange. 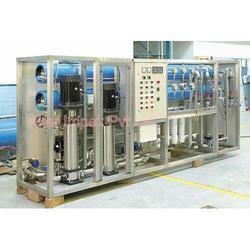 These packaged water treatment plants are widely used for decreasing of the BOD and COD levels of water, as well as the removal of suspended solids from lake and river water. Besides chemical and biological treatment, water treatment plants are also used for removal of suspended solid from lakes and rivers. Our mobile water treatment plants are available in different capacities ranging from 5 to 25 m, 3/h. These units are ideal for emergency water treatment and water treatment during calamities or for usage for a mobile unit like in the case of Army regiments units etc. Mobile water treatment plants are also used for the extension or replacement of an existing water treatment system. They can be applied for the treatment of both surface water and groundwater. The compact water treatment plants is the best and cost-effective alternative for groundwater treatment. It provides facility for the treatment of water on spot and can even filter minute particles present in the water. Akar has the right the right mix of engineering capabilities and experience to provide comprehensive solution for recycling of wastewater. In today's global scenario when the world is facing a shortage of clean water, recycling very important particularly in desert area and areas having scarcity of water. The process of recycling helps you get the most from limited water supplies. We offer a low-cost, environmentally friendly ways to create fresh water for industries, agriculture and other uses. Akar impex private limited is a prominent manufacturer, supplier & exporter of water treatment plants. 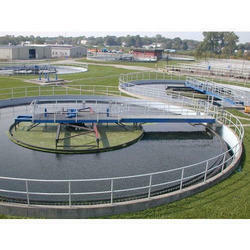 We offer different type of water treatment plants such as drinking water plants, industrial water. 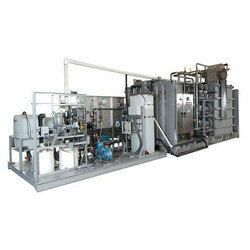 Raw water source for its facility, some type of raw water treatment system is usually necessary to ensure an efficient process and quality product. The most appropriate raw water treatment system will help the facility avoid costly plant downtime, expensive maintenance fees. Manufacturer and exporter of Compact water treatment plant, industrial waste water treatment, wastewater treatment, water treatment plant, compact waste water treatment plant, prefabricated treatment plant, diffused aeration systems from Innovative Water Technologies.